Oprah Winfrey did everything expected of her. She co-starred in an “important” movie — one about American racism, no less! “The Butler” was also a box office hit and her performance critically lauded. 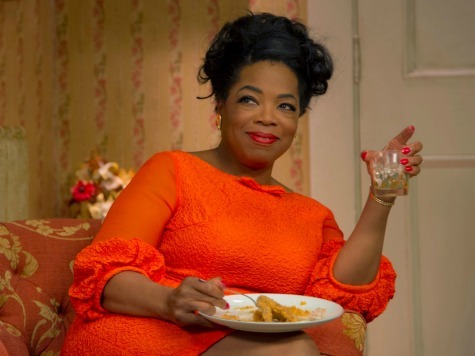 On top of that, Oprah’s pro-Obama bona fides are in proper order and during “The Butler’s” promotional blitz, Oprah even claimed she had been the victim of racism at a luxury Swiss boutique. And yet, despite hitting every necessary sweet spot during awards season, Oprah was snubbed by the Golden Globes Thursday. The snub might be the result of a backlash against the talk-titan billionaire, who was forced to walk back her claim of being a victim of racism after the Swiss sales clerk in question branded the mogul a liar. Oprah’s story was always fishy. It was just a little too neat that while promoting a film with a heavy racial theme, Oprah was handed a perfect anecdote about being a victim of racism herself — while shopping for a $38,000 purse. Most fishy, though, was Oprah’s refusal to name the store, which made her claim all the more difficult to verify. Despite Oprah’s best efforts to compartmentalize the alleged incident into nothing more than a perfect publicity tour anecdote, the whole thing got away from her. The story exploded into a worldwide scandal and the entire country of Switzerland ended up apologizing for the incident. But it all began to unravel when the nameless, faceless sales clerk in question refused to take the accusation sitting down. And what was Oprah’s response to being called a liar by someone she claimed was racist? Rather than outrage, Oprah issued a non-apology apology, and did so with egg all over her face. Naturally, the same mainstream media that breathlessly reported Oprah’s spurious claim as though it were written by God on a stone tablet, downplayed Oprah’s back-peddling. But the damage had been done. Even though no one wanted to say so out loud, Oprah looked ridiculous. While it is true that left-wing Hollywood loves a race hoax every bit as much as the media, what they don’t like is an amateurish one that hurts the cause. Also, Hollywood likely feels that the whole fumbled mess made Oprah look a little too needy in her grasp for an Oscar — something that has always been frowned upon during awards season, when you are expected to keep your needy graspiness behind closed doors.